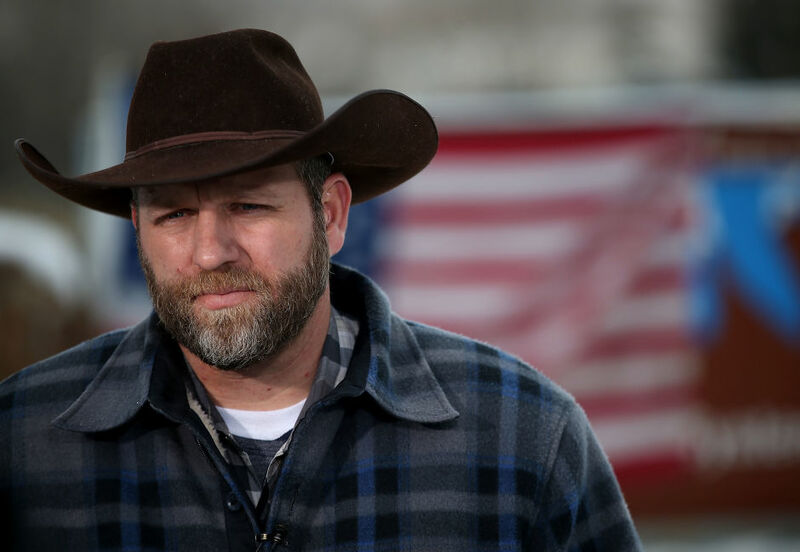 Ammon Bundy: Our last hope? Take a long hard look at this man. Does he look like or does his demeanor indicate to you or make you feel that he is or should be considered a terrorist? So far, 2016 has been a heck of a year, and we are only 10 days in! If you think 2015 was tumultuous wait until we look back on this year! As much as 75% of all Americans feel that our government is corrupt. Our congress has the lowest approval rating of all time and the true definition of our society is a 'Police State'. We are no longer a Democratic Republic but rather an Oligarchy; a government run by big business and elitists. This is a lot of information to digest but if you really want to know the truth you must educate yourself. There is much more correct information like this out there. Many people do know the truth, but not enough of them. It is not only a right but it is also our duty to stand up and put off a government who is in such obvious violation of "We the people's" rights. At this point, the right question is, will it make a difference? The 'showdown' with the feds at the Bundy Ranch appeared to be successful, at least on the surface. It obviously did not stop the federal government from continuing to abuse the rights of the people as we again find ourselves in a similar situation at the Malheur Wildlife Refuge. Although these situations are somewhat different, the abuse by the federal government is the same. No one, that I can see, is making a hard stand, except for Ammon and those who stand by his side. The amount of propaganda concerning this situation is staggering! If all you do is listen to the main stream media you are likely one of the many people who know nothing about this situation, but do not hesitate to post on social media that these "Terrorists" should be shot or blown up. I have had the feeling that how this situation in Oregon ends with Ammon Bundy and his direct supporters, will determine or rather indicate the immediate future course of events. Will power move back to the states or will the federal government continue to expand its control? If Ammon and his supporters are yet again able to get the Feds to back down and free the Hammonds from their "Cruel and Unusual" punishment then there just may be some hope for the immediate future. If not, then we will know that the stranglehold that the media and the feds have on the sheeple is just too great. If Ammon is successful with his goal of encouraging the states to step up and take power back from the federal government it will likely inspire more and more people to step up and resist the governments illegal and unconstitutional actions. If not, heaven help us! This has been my distinct impression, which is the reason I am writing this blog post. After deciding to write this, and thus doing more due diligence, during my research I found that Ammon himself said: "I feel we are in a situation where if we do not do something, if we do not take a hard stand, we will be in a position where we'll be no longer able to do so." I fear for Ammon and those occupying the Malheur Wildlife Refuge building. If they were truly armed and hostile they would have already been swiftly dealt with by the feds. Since they are not, the feds have to generate as much propaganda disparaging these patriotic men as possible to gain the majority of the sheeples support, so that they can eventually deal with them harshly. My fear is that the feds won't give in on this one so easily. They have already shown that they won't give in as the Hammonds have been illegally re-sentenced. As I was saying, this may very well be a turning point which the feds do not want to experience. So, I fear that the feds will take this 'all the way' to the loss of life or at the very least falsely imprison Ammon as a terrorist. I don't believe that Ammon and his supporters will resort to violence or even defending themselves as it will be used against them, thus defeating their purpose. If it does end in the worst case scenario you can be sure that the reign of the federal government will continue to expand, which will then discourage others from doing what is constitutional afforded to them. However, to those who know the truth, this will then further expose and confirm the feds real agenda. There are many people that understand what is going on and know the truth, but do not support Ammon is his actions. I personally believe he is doing what he feels inspired to do; what must be done. This is why this situation could be a critical turning point for the American people. If it ends badly this is likely to indicate that there will be no peaceable way to protest in the future without brute force being applied abundantly by the feds. Thus, We The People will not be able to meaningfully protest anything that would help to take us back to our Constitutional roots. Now, take into account that H.R.4269 - Assault Weapons Ban, which has already been introduced, will ban most every 'assault' style weapon and will pretty much limit Americans to single-shot firearms. The intent of H.R. 4269 is to "Regulate assault weapons, to ensure that the right to keep and bear arms is not unlimited, and for other purposes." This would obviously take some sort of an 'event' to enable these traitors to pass this bill through congress. Keep this in mind when you think of this so called 'standoff'' in Oregon. Will Ammon and his supporters become martyrs? Obama (I even hate writing his name!) in his recent news conference about his new gun control executive orders said that he's not out to get our guns. Remember all of the lies he has told us?! Whatever he says, count on the exact opposite to be true, just like with Obamacare.